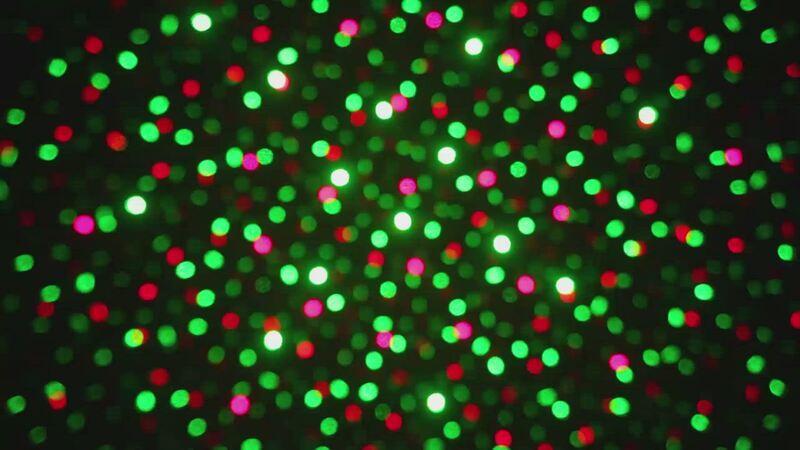 Create amazing light displays in seconds with new and innovative Christmas laser lights! With just the push of a button you can transform a woodline or garden area into an enchanting display. The glow of red lights through the trees will dazzle your guests and passersby. Laser lights stake right into the ground and with a 72 inch lead wire, installation is a breeze. An easy to use remote allows you to turn the lasers on and off and set the timer from a distance. In just minutes you can create a breathtaking wonderland year after year. Very disappointing when compared to the red/green version. It was the first item from this website that left me disappointed. I'm saving it for Christmas. Quit working after a week. I like these laser light enough to order another one for next year. Reviewed by Anastasia L. S.
The light display is beautiful. However, after only two weeks, the screws started to rust. Plus, I could never figure out how to use the remote control.